High cholesterol is one of the leading causes of heart disease, which is the most common cause of death in the United States. The best way to prevent heart disease is to keep your cholesterol as low as possible through healthy eating and frequent checkups with trusted medical professionals, such as the team at Vineyard Primary Care. Dr. Luckett at Vineyard Primary Care is one of the leading doctors in Owensboro, Kentucky, consulting with his patients to create treatment plans to keep cholesterol low, and hearts healthy. Cholesterol builds new cells in your body, keeps your nerves insulated, and produces hormones in your body. Cholesterol enters the body through several sources, such as milk, eggs, and meat. However, the liver already produces all of the cholesterol that the body needs to function. The two types of cholesterol are:. LDL is called, bad cholesterol, because it causes plaque buildup in your veins. HDL is called, good cholesterol because it can actually help clear your body of bad cholesterol. High cholesterol levels can put you at high risk for heart disease, so it’s important that you regularly consult with Dr. Luckett or Nurse Wilkerson, to make sure they stay in a healthy range. Why is high cholesterol bad? Bad cholesterol in your blood can build up plaque on the walls of your arteries. As plaque builds up, your arteries narrow and it’s more difficult for blood to travel to and from your heart. Because blood is your heart’s source of oxygen, your heart isn’t able to function as well as it should. When plaque builds up to the point that the passage of blood is totally blocked, a person can experience a heart attack. Without cholesterol testing the first symptom of high cholesterol for some people is death. A cholesterol test at Vineyard Primary Care will tell us where your concerns are and start you on the road to fixing them. What steps can I take to lower my cholesterol? Many people can control and even lower their cholesterol with dietary changes and exercise. our team will suggest an exercise program for you to start and adjust it as your fitness levels improve. They’ll also direct you to a healthy heart diet that will help you lower, or maintain your cholesterol. For many, diet and exercise will not be enough and cholesterol lower medication will be added to your regimen. You can expect some regular blood tests to check the success of the medications and adjustments will be made where necessary. The most important thing that you can do is to maintain a regular schedule where you consult with Dr. Luckett or Nurse Practioner Christina Wilkerson about your cholesterol. Because medical conditions and medications can also affect your cholesterol, you need a trusted doctor to help you get the results you need. 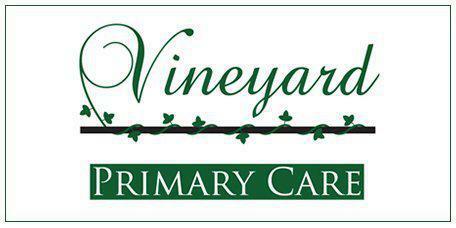 Contact Vineyard Primary Care today and get your cholesterol levels checked.